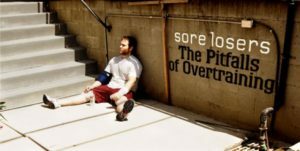 So, how do you know if you are training hard or overtraining? Exercise is a key component when it comes to living a healthy lifestyle. There are also lots of well-established physical, health and mental benefit. You have a lot to benefit from modifying your fitness routine. Doing this by including high intensity bodyweight exercise can bring you great benefits. You get to enjoy body composition, better energy and overall fitness. However, there are people who just take their physical fitness and physique to an extreme level. Certain styles of exercises take the people to a state of physical exhaustion. Doing this on a regular basis may do more harm to your body than good. A consistent, high intensity bodyweight workout routine has some benefits for people who are looking to lose body fat. It is also a great idea for people who want to their strength and fitness. However, you should know that there is a thin line between training hard and overtraining. Lifting heavy weight and running fast may be key element of an active lifestyle, participating in activities that are physically demanding too intensely and regularly can add to some varieties of overtraining symptoms. Overtraining is more than spending more hours at the gym or participating in excessive “chronic cardio”. Some high-intensity bodyweight exercise routines can push the stress response of the too far. This results into a series of biochemical responses that may lead to serious damage to health. While short, intense bodyweight workoutsare great for increasing aerobic capacity, inducing fat loss and reducing risk for cardiovascular issues. However, excessively participating in intense exercise can cause a variety of health problems. 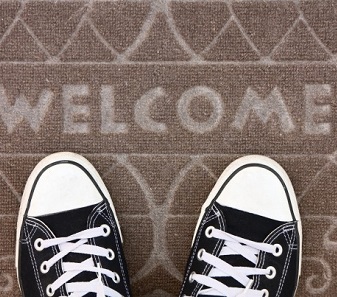 People who are struggling with other concurrent stressors are more vulnerable to this. So also are other health issues such as such as gut dysbiosis, autoimmune disease or adrenal fatigue. Studies have shown that overtraining affects the blood levels of important neurotransmitters in the body like 5-HTP, dopamine and glutamine. They all can result in feeling of chronic fatigue and depression and. Excessive exercise can result in Hypothyroidism, whichis known to be responsible for causing digestive dysfunctions, weight gain and depression along with other kinds of symptoms. 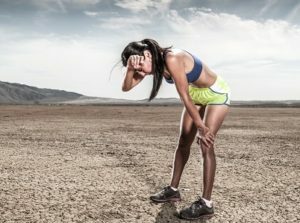 Another serious effect of extreme exercise on your bodies is the increase in cortisol, which is the hormone produced by the body under stress. High levels of cortisol can make you vulnerable to some unpleasant health conditions such as depression, weight gain, digestive issues, sleep disturbances, memory impairment and fat gain around the abdomen. Engaging in very intense exercises with the goal of losing weight can become a serious barrier to achieving your weight loss goals. Intense overtraining causes hyperactivity and it affects the immune system, which can promote thedevelopment of autoimmune conditions. So, are you supposed to quit CrossFit or stop weightlifting? 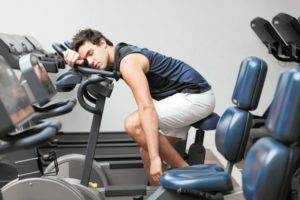 Pushing yourself hard when you visit the gym is really not the problematic, but doing this too often, especially during the week, is overtraining. High intensity bodyweight exercise with such high stress should be limited to 2 or 3 times during the week. This is even more important for people who are struggling with health issues such as digestive troubles or autoimmune conditions. Adding extra stress can make you sick. Most people know about the importance of sleep, but few take it seriously. Be sure to take breaks from your exercise. More importantly, get adequate sleep. This allows you enjoy better recovery from intense workout, which is vital when it comes to avoiding the syndrome of overtraining. This is even more important on the days that you train. High intensity bodyweight exercise may be great for losing body fat and achieving lean muscle, but too much cortisol can make it hard for your body to let go of fat. So, do exercises that will allow you modulate your cortisol levels. Do you also see yoga to be too easy? Just so you know, regular yoga practice has also been shown to affect weight loss. Stress reducing exercise such as yoga can help you recover from very intense exercise. 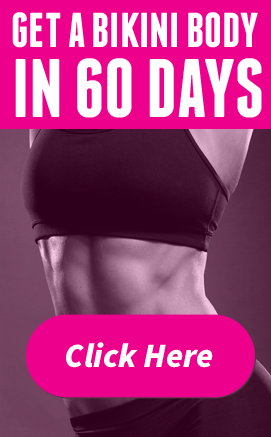 This will you reach your fitness and weight loss goals. Don’t skimp on the carbohydrates. Low-carb eating and overtraining is often believed to be the best way to reduce body fat, but it can raise your cortisol levels and have bad effect on your immune system. It also has effect on the thyroid. 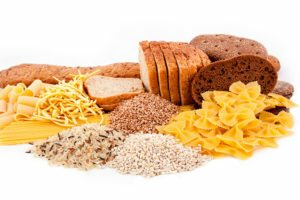 So, avoid symptoms of overtraining by taking your carbs. Adam Steer mentioned in his program, the Bodyweight Burn that high intensity exercise is a great way for anybody to improve their body composition and also enjoy enhanced general health, but that is if it is done the right way. Just like other elements of your lifestyle changes, the key is moderation. You should also be able to listen to your body. Adam Steer suggested that you shouldn’t allow your fellow athletes or coached at the gym push you past your comfort zone and make use of your best judgement when you are participating in high intensity workout programs. Now, I’d like to hear you share your experiences on balancing between intensity and good recovery or the effect reducing the intensity of your exercise has on you. 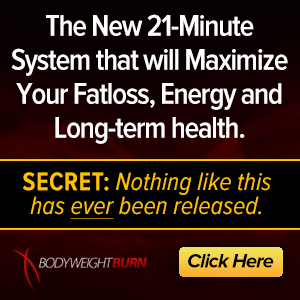 See Your Abs Program Review – Will Bruce Krahn’s Program Work For Me?